Hardcover, 8.25 x 10.5 in. / 240 pgs / illustrated throughout. Text by Elisabeth Lebovici, Françoise Ninghetto, Marc-Olivier Wahler, Jade Lindgaard, Fabrice Stroun, Anaïd Demir, Valérie Mavridorakis, Emmanuel Grandjean, Annemarie Reichen, Philip Ursprung, Gabi Scardi, Stéphanie Moisdon Trembley, Frank Perrin, Pierre Bal-Blanc, Isabelle Sbrissa, Pascale Jeanneret, Jerome Sans, Michele Robecchi. 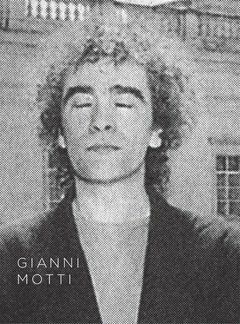 Italian artist Gianni Motti (born 1958) creatively feigns responsibility for natural or accidental phenomena that far exceed the possible actions of a human being--an earthquake, or the explosion of the Challenger shuttle in 1986, for example. This publication documents these provocative and manipulative performances. FORMAT: Hbk, 8.25 x 10.5 in. / 240 pgs / illustrated throughout.